The African teams didn’t do all too well at this year’s World Cup in Russia. The participating countries from the continent Tunisia, Egypt, Morocco, Nigeria and Senegal were all eliminated at the group stages. Kenya, which didn’t qualify for the World Cup, seems have sent over some 20 members of parliament for ‘research purposes’ on 2 and 5 June to stay in Russia and watch 5 games each of the Tournament. 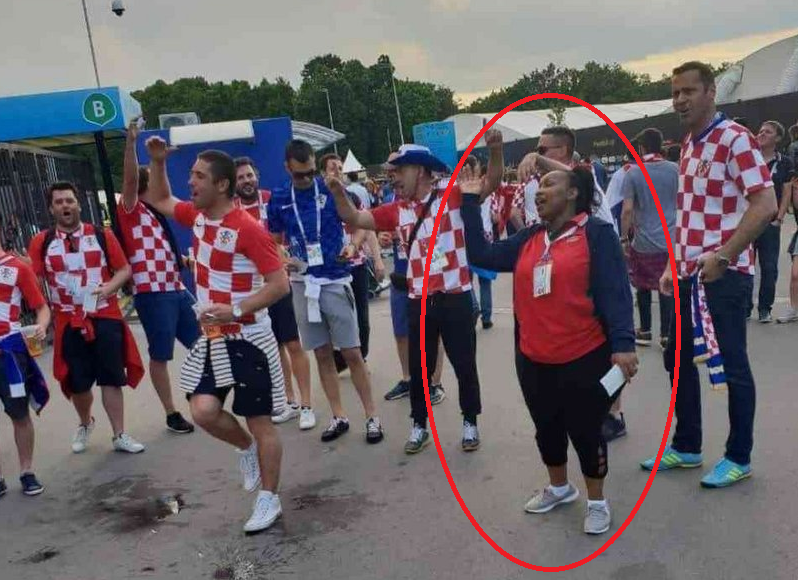 We are going to guess that they had been instructed not to pose too many pictures of themselves but Senator Millicent Omanga was just over-excited getting to the semi-final yesterday she posed pics of herself between Croatian supporters. The trip supposedly cost hundreds of thousands of dollars. Kenya is highly in debt and its population is demanding answers as to why the politicians went to the Russian World Cup. They will have to wait though, the Kenyan delegation is scheduled to fly back on 16 July, the day after the final.